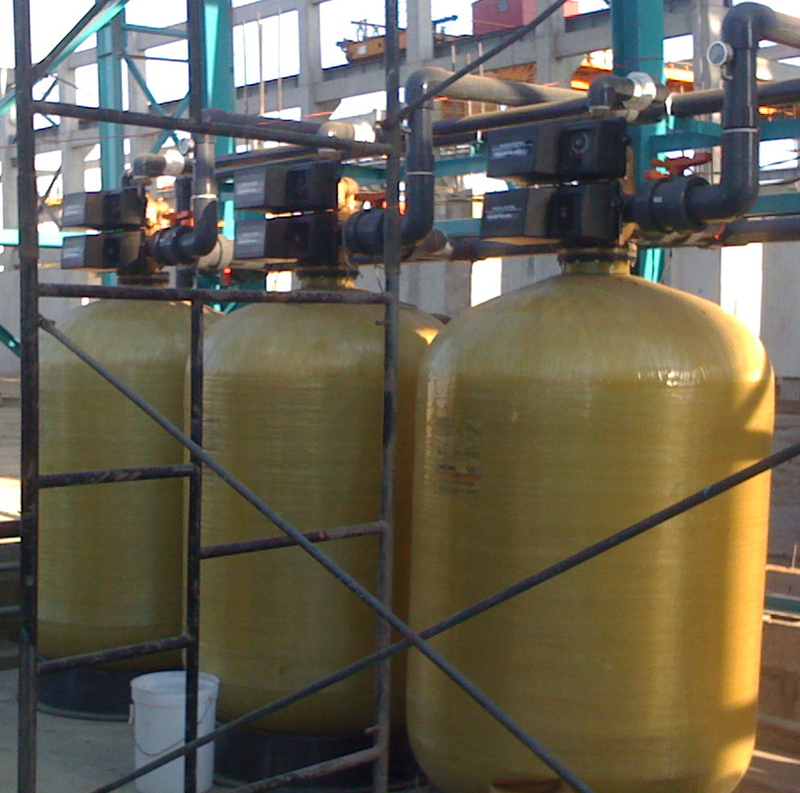 Pyrolox Iron Filters with Fleck Control Valves | Applied Membranes Inc.
A mined ore, Pyrolox effectively reduces iron, sulfur and manganese from problem water. 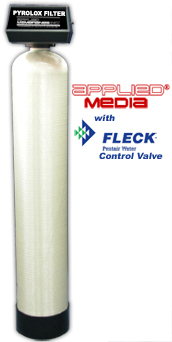 *Pyrolox filters are available with several options of valve voltages. Please add the appropriate voltage code to the end of the model when ordering. **5 gpm per sq. ft. of media is the best design condition for filtration. Backwash flow rate based on 25 psi pressure drop. 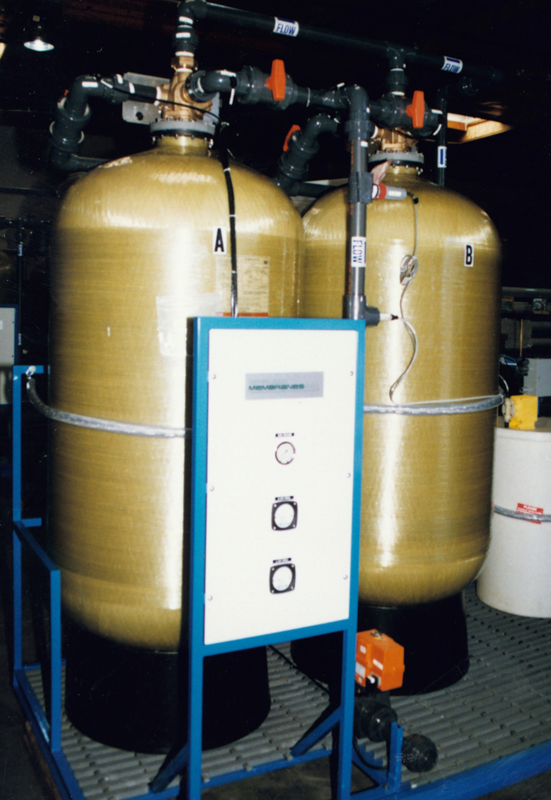 AMI Auto Backwash Carbon Filters are offered standard with new state of the art electronic programmable valves as well. Pyrolox Operating Conditions: pH: 6.5 - 9.0; Because of its heavy weight, it is very important that Pyrolox filters are backwashed properly to insure adequate bed expansion and continued service life. Stainless Steel Jackets are available for 9” to 16” Diameter Pyrolox Iron Filters. To include a SS jacket with your Pyrolox filter, please add the appropriate part number below to your RFQ or order.